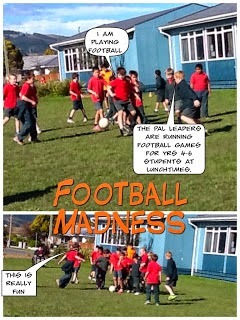 Today the Physical Activity Leaders (PALs) ran a football session for students in year 4-6. The rules were agreed upon and the PALs refereed the game. Everyone had a great time; and we think the PALs and Mr McCullum are awesome for helping us out.